Just days after its shares dropped a whopping 18%, Fitbit just took another big hit. The wearables company has been slapped with a class-action lawsuit alleging that its heart rate monitoring technology is inaccurate, and that the company is knowingly misleading users. PurePulse, which will be included in the recently announced Blaze, works by using LED lights to monitor blood flow through a user’s wrist. Algorithms then determine heart rate, which, according to the plaintiffs, tends to be considerably off the mark. Similar technology can be found in the Apple Watch, along with other smartwatches and fitness trackers. The plaintiffs say they purchased the devices off the company’s advertised promise that the trackers accurately track heart rates. One person in the lawsuit claims that her Charge HR recorded a heart rate of 82 beats per minute, but when her trainer recorded her heartbeat with a different device, it registered at the much higher rate of 160 bpm. The other plaintiffs make similar claims. We do not believe this case has merit. 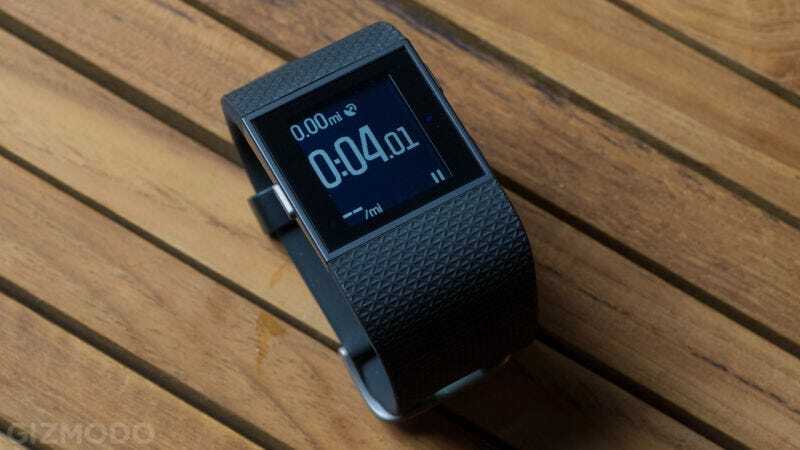 Fitbit stands behind our heart rate technology and strongly disagrees with the statements made in the complaint and plans to vigorously defend the lawsuit. Fitbit is committed to making the best clip and wrist-based activity trackers on the market. Our team has performed and continues to perform internal studies to validate our products’ performance. PurePulse provides better overall heart rate tracking than cardio machines at the gym, as it tracks your heart rate continuously – even while you’re not at the gym or working out. But it’s also important to note that Fitbit trackers are designed to provide meaningful data to our users to help them reach their health and fitness goals, and are not intended to be scientific or medical devices. No doubt, and it bears repeating: Users need to be aware that consumer fitness trackers are not scientific or medical devices. Fitness trackers are nothing more than casual lifestyle gadgets that are fun and motivational. Their tracking efficacy has not be proven. That being said, the levels of inaccuracies reported by the complainants are clearly unacceptably high and worthy of concern. Fitbit has faced legal troubles before. Back in 2014, a number of users suffered skin rashes after using Fitbit Force, sparking a lawsuit. The company eventually removed the device from the market, replacing it with the Charge. The new lawsuit isn’t nearly as large as the skin rash debacle. However, it still feels like Fitbit keeps getting kicked when it’s already down.